Oranges are aplenty during the Chinese New Year season. How about using the oranges to make a sweet cake? This recipe was first published in Flavours. Using an electric beater fitted with a balloon whisk attachment, whisk sugar with egg whites until foamy. Beat in cream of tartar and continue beating until whites are stiff. In a separate bowl, whisk oil, salt, sugar yolks and santan sawit until sugar has dissolved. Mix in grated orange rind. Slowly sift in flour and baking powder mixture, then fold in beaten egg whites gently. Pour mixture into a 27cm loose-bottomed chiffon cake pan. Bake in pre-heated oven for 45 to 55 minutes or until skewer inserted inside comes out clean. Remove from oven, unmould and allow to cool before removing cake from pan. 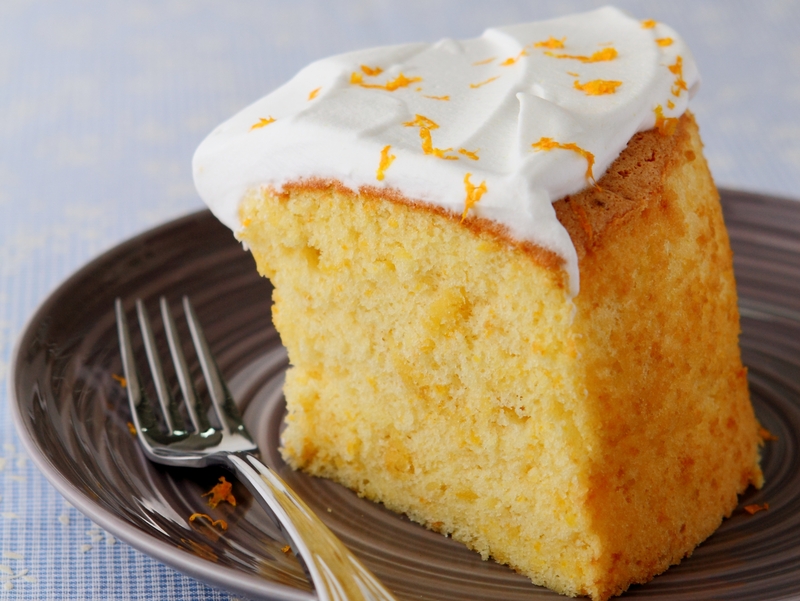 Spread the cream over the cake and sprinkle with orange zest before serving.